Microgeneration Certification Scheme (MCS) accreditation means BSW are qualified to design and install renewable energy systems, including Solar PV panels. As specialist installers we take pride in helping you develop an environmentally friendly, renewable energy system in your home. Offering friendly, helpful and honest advice throughout your project, BSW ensure that you have all the information you require and are involved every step of the way. Solar PV panels are the most recognisable form of renewable energy production. Since the introduction of the Feed-in-Tariff there have been a huge number of solar installations across the UK, currently there are over 750,000 installations. Solar PV generates electricity through the installation of panels, generally on the roof. These panels are made from a semi-conducting material located between a layer of glass and polymer resin. It is this material that produces energy when exposed to daylight. The electricity generated passes through an inverter before being delivered into your home. 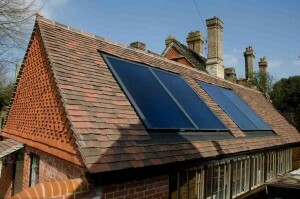 Solar PV can also be used in conjunction with other renewable heat systems you have and existing central heating systems. By using the generated electricity from your Solar PV panels, you can make systems, such as Air Source Heat Pumps, 100% carbon free. The government introduced the Feed-in-Tariff to help subsidise the cost of installing a renewable energy source in your home. Payments under FIT are paid quarterly for 20 years and vary based on the renewable energy source you use. 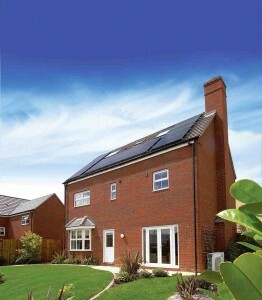 All Solar PV panels installed by BSW are eligible for this payment, as we are MCS accredited installers. The FIT amount for Solar PV is 12.47p per kWh for eligible homes with installations between 1st October and 31st December 2015. The average Solar PV installation should generate over £400 per annum in FIT payments, excluding any electricity you sell back to the grid. We can give you advice and estimations on how much your potential installation would generate through the FIT and help you choose the best option for your project. As a family-owned business, BSW are proud to serve our local community through providing a friendly, reliable service. With our expertise in renewable energy and qualification under the MCS, you can be reassured that we will only give honest and useful advice, helping you come to a decision that is best for your house. If you want to find out more information about how we can help you create an environmentally friendly home, call today on 01444 831138 or contact us via the form below or on the sidebar to the right and one of our knowledgeable team will get back to you as soon as possible.